My "Check Engine" light is on. Is this anything important? It may be very important. An illuminated check engine light means that your vehicle's on-board computer has recorded information relative to an "incident" occurring during the operation of your vehicle; even if the light does not remain illuminated, that information is most likely stored in the computer. The sooner this information is accessed with our Mercedes-Benz Star Diagnostic System, the more accurate diagnosis may be made. That will determine if it's critical and if a repair needs to be performed. Other warning indicators, including BAS, ETS, 4M or SRS, relate to essential systems in your vehicle and should be diagnosed promptly as they are safety related. Yes, this allows us to better serve you in a timely manner and have the proper parts on hand for the appointed time. We always try to leave room in our schedule for emergencies. Contact the shop or schedule online an appointment. Do you have the proper equipment to work on my new car? Yes, we have all the Mercedes-Benz factory diagnostic approved test computers and diagnostic and electrical manuals in our Mercedes-Benz information system. This insures we have the most up-to-date information to accurately diagnose and repair your automobile. 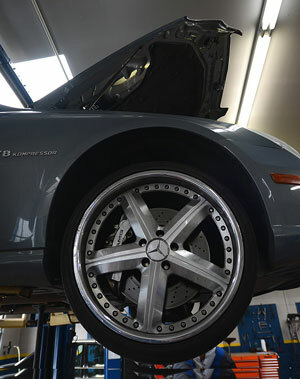 We only use genuine Mercedes-Benz original equipment ("OE") parts or their direct equivalent. In some cases, remanufactured parts are available. I have an extended warranty, can you perform covered warranty repairs? In most cases, yes. With the exception of Mercedes-Benz Starmark Warranty which can only be covered at a Mercedes-Benz dealership. In most other cases, we should be able to administer your claim. If you have an extended warranty agreement, please let us know at the time your appointment is scheduled. 1998 models to present as well as vehicles with flexible Service System (FSS or FSS PLUS) use Mobil 1 Synthetic 0W-40 that meets Mercedes Benz Specifications. 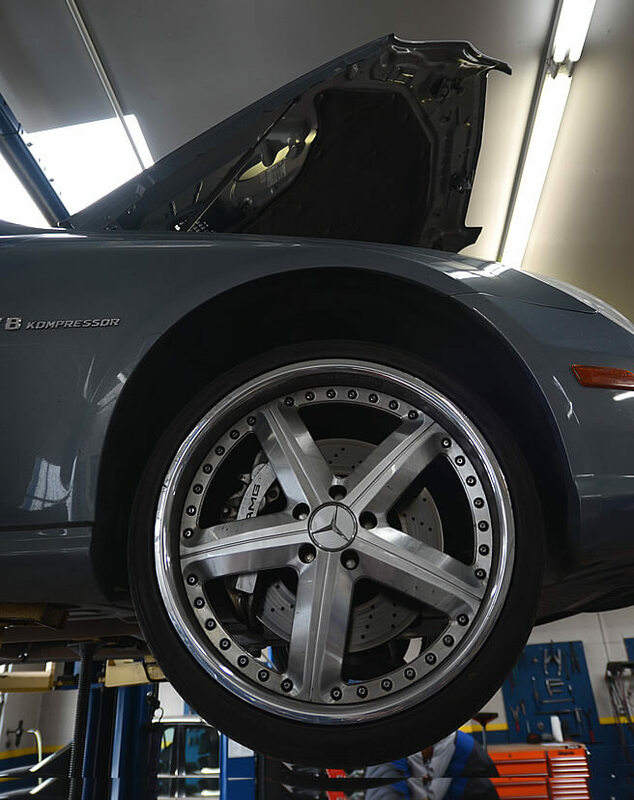 Mercedes-Benz recommends only the use of MB approved synthetic motor oil for all vehicles equipped with the Flexible Service System (FSS or FSS PLUS) as of model year 1998. 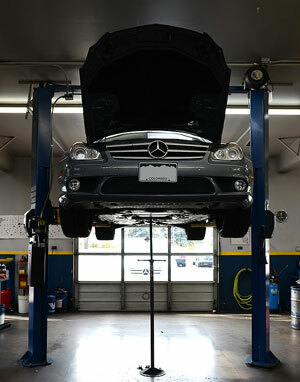 Be assured that all the fluids we use on your vehicle are “OEM” or approved to meet MB specifications. Can I pick up or drop off my vehicle before or after business hours? Yes we have a secure key drop and a security lock box to retrieve your keys. What if my car will be at your shop for a long period of time? If your car will be in our shop for an extended period of time, a local rental agency will pick you up and set you up with a rental car at a discounted rate for German Motors customers.